A dirty carpet can be a potential health hazard for the people who walk on it. It’s the same story with dirty hard floors. Whether it’s dust, pet hairs, lice, or some other form of foul matter, a floor ‘besoilt’ with these offensive particles can make your house quite stinky. Also, it can pollute your socks and everything else that comes in contact with it! Now, to battle the aforementioned dirt ‘n’ other nasty pieces of garbage that live on your floor, you can opt to get one of the several cleaning weapons people have devised for this purpose specifically. You’ve got: brooms, brushes, squeegees, sponges, chemicals, steamers, and vacuum cleaners. And also robot vacuums cleaners, let’s not forget those. While this arsenal does seem quite impressive, there’s still an issue. What if you have a household with several different surfaces to take care of? For example, a parquet AND a carpeted area? Well, rather than buying a bunch of products to tackle each area individually, why not opt for more of a well-rounded device that can do all of it – a multi-surface vacuum cleaner! These plucky contraptions can make your cleaning tasks easy and cut down the time you need to complete them! In this article, we’ve assembled a list of five multi-surface vacuum cleaners, so that you can choose the best one for your needs. All of these are top tier quality, it’s only the individual features that set them apart. The name says it all: Multi surface. This means you will have a cleaning device that will clean any floor that needs cleaning. Having a multi surface vacuum will eliminate the need to have any other cleaning devices around, so it will clear up a lot of space. Most multi surface vacuums are really small so they will not take up a lot of space. This is one more thing that will clear up space. They are much more efficient at cleaning than a mop or a carpet vacuum. Compared to a mop which can leave streaks after cleaning a hard surface or a carpet vacuum that usually leaves jobs unfinished, the majority of multi surface vacuums are much more efficient at cleaning. 10 Popular Multi Surface Vacuums Reviews. 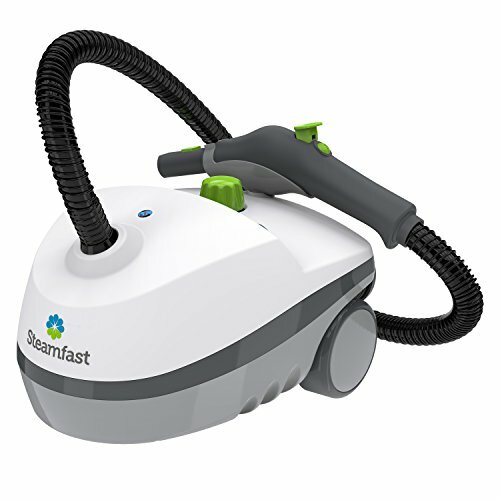 What’s more, thanks to its powerful steam output, this apparatus does not need to use any additional chemicals to tackle the dust ‘n’ dirt on your floors. It’s just hot steam blasted at a pressure, really! The process is simple – put some water in the water tank, flick the switch to turn the heater on, wait about 8 minutes for it to create steam and Bob’s your uncle! You’re ready to attack a dirty carpet or a soiled parquet. This machine also comes with 15 different attachments you can use to further expand the number of surfaces you want to work on. There are nylon brushes, microfiber pads, scrub tools, you name it. There’s even a squeegee onboard! ‘Bagless’, corded, and named ‘Shark Rotator Professional’, this vacuum cleaner from Shark is a model that can fare great with people who dislike emptying dusty bags all the time. In fact, every aspect of this contraption has been designed to make the user’s life easier. The canister used for storing the dirt, germs, and other pollutants on your floors is removable, for example. All you need to do is push a button and simply lift up the whole thing! Another rather important part that pet owners, in particular, will surely love would be the special Premium Pet Power Brush. With it, you can easily pick up pet hair, dander, and other nasty matter our lovable companions manage to produce all year ‘round. Featuring an appearance reminiscent of one of those Monster Energy-logoed trucks and a pretty decent vacuuming punch, this Bissell Cross Wave cleaner is a powerful cleaning utensil for virtually all surfaces. Whether it’s hard floors or any kind of area rug, this contraption can deliver the cleaning results you’re looking for. To make this happen, the engineers at Bissell devised a dual action brush that includes both a microfiber and nylon brushes. So, the microfiber one tackles the flat surfaces while the tougher nylon brush gets busy with the carpet fibers! As far as the tank is concerned, the design solutions by the Bissell folks delivers in this department, as well. Namely, there are two separate tanks. One is reserved for the clean water + the chemical cleaning formula while the other one is used for dumping the dirty water. So, the two liquids don’t mix ensuring you always start a cleaning task with clean water! Pretty clever, right? 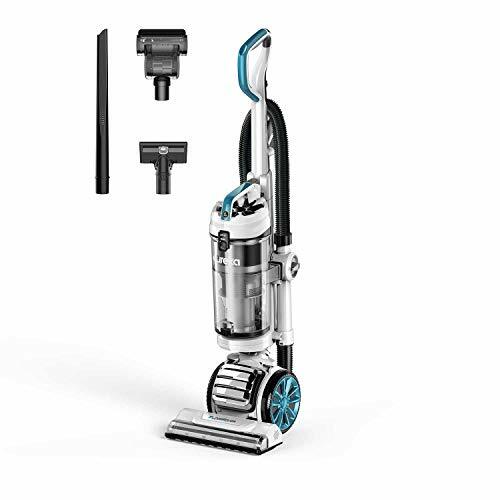 For the folks looking for a simple and easy-to-use cleaning utensil that works on multiple surfaces, this Dyson V8 cordless stick vacuum cleaner might be a great solution. It’s basically a stick with a cleaner head and a motor at the end of it – as simple as that. One of the major strengths of this particular vacuum cleaner is its lightweight design and its simplicity. Since it works on batteries, (It’s cordless) you’ll need to charge it before you use it. That will take only about four hours. You can leave it to charge overnight if you don’t want to wait. A sturdy build and a clever dual-nozzle technology are what makes this Max Extract cleaner from Hoover a device you definitely want to check out. Similarly to the model occupying the spot number 3 on this list, this vacuum cleaner also features two tanks instead of one, so you won’t have to worry about that rank smell after you finish cleaning up your floor. Speaking of these tanks – there are two of them for a reason. One serves to house the clean water and the chemical cleaning solution. The other one is there to house the dirty water during the cleaning process. After you’ve finished, you can simply dump all the accumulated filth from the second tank and continue cleaning on until you finish off your chore! Other than the sturdy brush this model uses, you can also count on the specialized heater build in close to the nozzle. This useful addition heats up the area you’re going over so that it dries up faster after you’ve finished cleaning it. There are a number of qualities a multi surface vacuum should have. It should be small enough to be able to clean any room, easy to maneuver around the rooms that it needs to be cleaned, and it needs to physically be able to clean most surfaces. The Dyson multi surface vacuum is very good at what it does, and is very much designed to be extremely versatile when it comes to cleaning. One thing it has that some other multi surface vacuums do not have is that it has a ball joint attached to the cleaner head, which makes turning it very easy to do. Emptying the bin that collects the dust and dirt is also very easy as well, as it has a button on the top of it which opens a hatch on the bottom that dumps out the dust and dirt. The last thing that is nice about the the Dyson multi surface vacuum is that the cord it uses is very long, extending to over 30 feet. This makes it very easy to use it to clean a very large room. There are a couple of issues with the Dyson multi surface vacuum. The first of these is the fact that it needs an attachment to clean up underneath a bed or other places that are difficult to reach with the vacuum itself, or even with the wand and hose attachment. The attachment costs extra, so that can be an issue for those who do not want to spend any more money. Some of its users have said that it does not clean thicker carpets as good as it should, so you may need to take extra time cleaning thicker carpets with the Dyson multi surface vacuum. Multi surface vacuums should not only be versatile in the surfaces they clean, but how they clean said surfaces. The design of the Shark multi surface vacuum appears quite unconventional at first, but once you understand what it exactly it can do, it is actually very effective at what it does. The head is detachable, and can convert into a hand vacuum that can clean above the floor and overhead. This makes the Shark multi surface vacuum perfect for dusting. 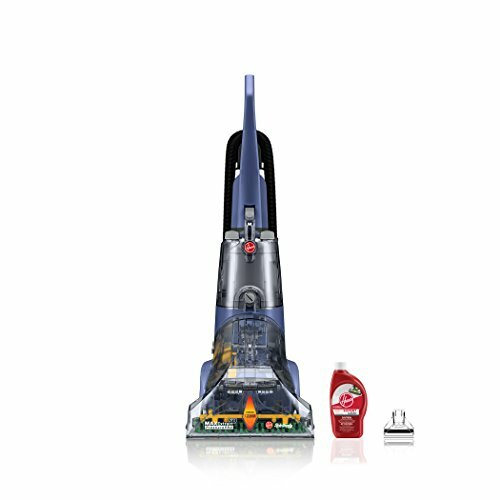 It is bagless, meaning that the dust, pet hair, and dirt that gets picked up goes into the top component of the vacuum. Emptying this out is as easy as emptying anything out of a hand vacuum. The Shark multi surface vacuum also has a brush inside of its head that not only pulls in particles, but also adds a bit of polish to a hard floor. The Shark multi surface vacuum does its job too well. When it picks up hair off the floor, oftentimes the hair will stick to the brushes. The hair will then disrupt the process of cleaning a hard floor with it. This can get troublesome. In addition, it tends to be so strong that it can pull on some carpets and if you are using the Shark multi surface vacuum to clean a rug, it is very possible that the Shark will attempt to pick up the rug. This is also troublesome. One issue that some may have when it comes to multi surface vacuums is that changing out the cleaning solution can be a tedious process. That is if the multi surface vacuum can even do any deep cleaning at all. Not only can the Bissell crosswave vacuum deep clean any surface, it captures whatever dirty water it uses, this way only fresh solution is used. It does this by utilizing two tanks; one for the dirty water and one for the solution. This is one of the most innovative and best things about the Bissell crosswave. Unfortunately, the fact that the Bissell crosswave can easily clean both hard and fabric surfaces is probably the only good thing about it. Although it captures dirty water, the dirty water has to be stored somewhere, and that is in one of it’s tanks. The tanks will eventually need to be emptied and refilled with more solution and that can be a painful process. The cord is only 25 feet long, so if you are using the Bissell crosswave to clean a large area, you will need to have extension cords handy. 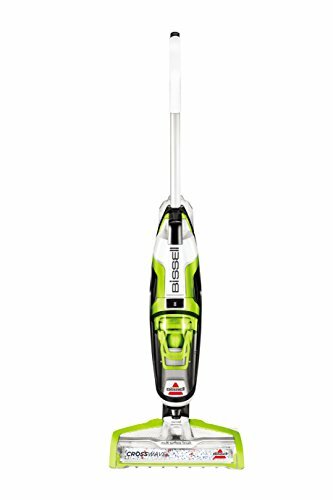 The Bissell crosswave also does not come with any other tools or accessories that can be used to clean other areas of the house, so that limits what it can actually clean. Most people keep a multi purpose vacuum around so that they can use one device to clean virtually everything in the house. The Eureka Floor Rover vacuum is, indeed, one of these devices. It contains literally everything that anybody would need to clean anything in the house. It contains a 2-in-1 upholstery tool, a crevice tool, as well as a pet turbo brush. These accessories make the Eureka Floor Rover vacuum very effective in cleaning any area of the house with efficiency. Because it’s main function is to clean many things, it also has a very large dust cup which even has a HEPA filter that can shrink some of the particles. Because it is bagless, this saves money as the Eureka Floor Rover will likely be used to clean a lot of things. The Eureka Floor Rover does it all, but it does these things at a price. And that price is its size and weight. The common multi purpose vacuum weighs somewhere around 12 pounds. The Eureka Floor Rover is well north of 16 pounds, and because of all the accessories it comes with, it can be difficult to carry around and use regularly. Because it comes with a lot of parts, it also would not be uncommon if one of those parts gets lost at some point. Sometimes it is not necessary to possess a massive vacuum that has a plethora of accessories that attachable tools that are not necessary for the areas you wish to clean. 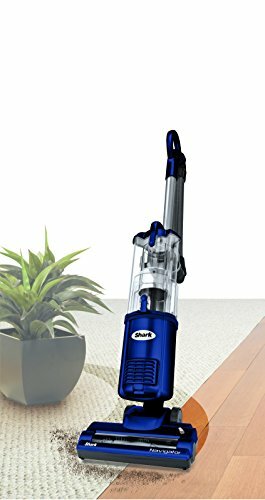 The Shark Navigator vacuum is one such machine that is perfect for small homes, apartment units, or offices, as it is much smaller than the common multi surface vacuum. The common multi surface vacuum weighs about 12 pounds. The Shark Navigator vacuum only weighs about 10. This makes it very easy to carry around, which also means it is it can be suitable for larger areas, as it can be carried from room to room. Despite that observation, it is still much better suited for smaller places. The Shark Navigator vacuum is better suited for smaller places due to a number of factors. First, there are no real accessories attached to it. This means it is only designed to clean floors and nothing else. Second, the dust container that comes with it is extremely small. That is to be expected, seeing as the vacuum itself only weighs 10 pounds. But the last thing about the Shark Navigator is probably the worst, and that is the fact that the head of it does not swivel. This is what makes it ideal for cleaning floors and floors only. Accessories: Accessories, like crevice tools, upholstery tools, and pet brushes are nice additions to multi surface vacuums, but are they really necessary? Often they will not be necessary unless you have animals in the house. Size of the vacuum: This is directly related to the size of the place you live, but is also related to the number of rooms you wish to clean. Some multi surface vacuums are indeed really small, which may not be ideal for a large living room but could perform well in smaller rooms. The kinds of surfaces they specialize in cleaning: This is related to what kind of floors your place has. If there are more rooms with carpet than with hard surfaces, you may want to get a multi surface vacuum that performs better on carpet, for example. Cord length: It is going to be really stressful to clean a 1200 sq ft living room with a vacuum that is only 25 feet long. By contrast, using a vacuum with a 40 foot cord will crowd a room. Overall, taking care of your surfaces, whether they’re carpeted or non-carpeted is essential for keeping your household clean and good-looking. To achieve this standard without spending too much money, getting a cleaning utensil which can cover different surfaces would definitely be one of the best solutions. Hope you found this article helpful and we wish you a merry and hassle-free purchase!